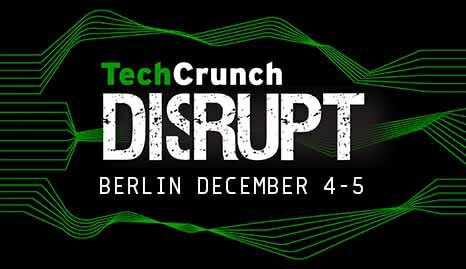 Tech Crunch Disrupt has landed in Berlin today and hundreds of the world’s best technology entrepreneurs are exhibiting their products at the prestigious Start-up Alley area. With so much innovation in this space, standing out from the competition has never been harder. One way is to hire a PR agency to promote your product to the media, but many entrepreneurs are wary as the costs represent a big part of their total budget. Firstly, I hear you! It’s a big decision and one that shouldn’t be taken lightly. How do you know if they will deliver what they promise? These five tips can help you take some of the uncertainty out of the decision-making process. Business life is unpredictable; you won’t always be launching a new product or have something interesting to talk about, yet you still need media to regularly write about you. A good PR agency will be flexible and be able to deploy a range of tactics to keep you in the media. This can be anything from commenting on the latest trends, unearthing some insights from your internal data, creating thought leadership content, reacting to the news agenda, proactively driving a new campaign, and much more. Flexibility is important when talking about contract length too – some agencies may try to sign you up for a one year retainer but if this doesn’t fit your needs then why not ask for a six month contract with a break clause after three? After three months you will know if you have made the right choice, and it’s also a long enough time for an agency to show what they are capable of. They may be a reputable agency with big clients but are they the right agency for you? Have they proved themselves in the sector you’re in? You might be considering a range of agencies from global to boutique – there are advantages to both; the larger ones might attract the bigger clients but the boutique agencies are often more affordable and tend to operate in more specialist areas. A boutique team within a larger agency is a good balance as they will have specialist experience but can quickly call upon the wider agency departments (such as Technology, Sport, Consumer, Public Affairs, Crisis Management, B2B, Digital) as and when is needed. Your prospective agency will likely know what you do and how you do it, but do they know why you do it? In Simon Sinek’s Ted Talk he talks about how ‘People don’t buy what you do, they buy why you do it’. As the team in charge of how the public perceive your company, your prospective agency should either ask you this question, or know the answer to it. They need to be able to humanise your brand and tell your story in a way that is engaging to the public. To do this they need to understand ‘the why’. This insight is crucial as it will inform all your communications and clearly differentiate you from your competition. If your prospective agency has won industry awards, you’re on the right track. In the UK PR Week, SABRE, CIPR, PRCA, Cannes Lions and PR Moment awards are great accolades for any agency to have in their trophy cabinet. Many publications also have their own awards – these range from national tabloids like The Sun’s ‘Best of British’ award to more B2B titles like The Drum’s ‘Network Awards’ or Computing Magazine’s ‘PR Agency of the Year’. WINNERS of Best Use of Social AND Best Use of PR with @PHA_Technology! Have any individuals within the agency been personally recognised in the industry? PR Week’s ’30 under 30’ list is a good indication of the best young PR talent in the country, and it stands to reason that the best companies attract the best talent. Lastly, have they won an ‘Employer of the Year’ award or appeared in ‘The Sunday Times Best Places to work’ list? If so they’ll likely have more fulfilled staff, which, as everyone knows, make more effective teams. Transparency is one of the most important attributes to look for in your agency – you need to have an open and honest dialogue with them. They should be clear on what they will do for you and you should be clear on where you expect from them. Establish what success looks like to you and then ask them to set measurable goals that you’re both happy with. For example, if you want high levels of coverage then ask them to commit to a certain number of pieces a month (KPIs), or if you want to drive downloads of an app, ask them how many links to the app they expect to secure within coverage. Granted, nothing is guaranteed in PR but a good agency will be able to manage your expectations so that there are no nasty surprises further down the line. Be wary of those that don’t commit to anything, but also be wary of hiring a team of yes men or women. Generally speaking, the best agencies will under promise and over deliver. One of the best ways of quickly gaining transparency with an agency is by asking the right questions – see here for a list of the best questions to ask your prospective agency before hiring them.